Going head to head this week is the two US legacy carriers, Delta vs United. This specific article will be focusing on the economy cabins of both, what each does best, who makes mistakes and what airline comes out on top. To keep it fair, we will be reviewing the class on a plane that they both have, on the same route. Naturally, we will choose the delightful Boeing 737-900ER. The Boeing 737 is one of the world most popular planes (One is built every nine days!) and United & Delta are both happy customers (With 136 & 103 in each fleet respectively). 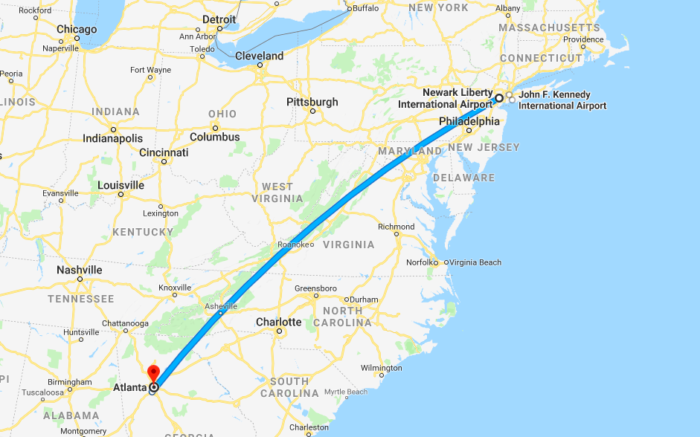 We will be looking at the route from New York to Atlanta, leaving from New York Newark (EWR) to Atlanta Hartsville-Jackson (ATL). Both airlines do fly internationally, however, this review will focus on the domestic routes. Having flown both United Economy and Delta Economy, I’m going to get into the service design of each. We will start by comparing the basic services of these airlines, including pricing, seating and comfort, service, food and drinks, and entertainment. It’s rather tricky to find a direct route for both airlines that does not involve moving through their various hubs, however, both seem to be very competitive on the New York to Atlanta route, both shadowing each other’s prices and scheduled times. What about other economy fares? Here is a brief summary of various direct routes around the continental USA, for Feb 20th 2019. All these fares are one way. But if you are happy to connect through one of their hubs, what would the price be then? *Direct flight available and it’s the cheapest. As they are so cut-throat, the price is really not a factor as they seem to go out of their way to stay competitive. Looking at a random selection of five cross country flights, there is no clear pattern or winner, just that each airline competes based on where its hubs are and how it can best implement economies of scale. So if the pricing is roughly the same, what about the experience? As you can see, these two airlines are equal in this department. Both airlines do what they can to make you as comfortable as possible for budget prices. Looking at actual photos, I can barely tell the difference. The seats are even the same colour. So, if not Price or Seats, what else? This is where it starts to get a little more interesting. Both United and Delta serve complimentary food on board, but Delta has a restriction that a flight under 250 miles will not serve anything, whilst United is happy to offer a drink and a snack no matter how short the flight. Both airlines offer more substantial food for sale on board, but then Delta offers a meal for free on select trans-continental routes. What about the price of extra food? If we look at both menus available on their websites, we can compare their snacks boxes. Delta provides a box with chips, chocolate and dips for $8.99, and United offers snack boxes of equality quantity for $9.59. With regards to something more substantial, United seems to win with a bigger range of hot food, all for a max price of $10. Delta offers some wraps for upwards of $10.49. Overall, as most flights won’t take advantage of the free meal from Delta, we will have to suggest that United wins this round on product range and price. Whether or not the food is quality is up to you. This is where things heat up, because United has chosen not to include back of seat entertainment screens, whilst Delta has. 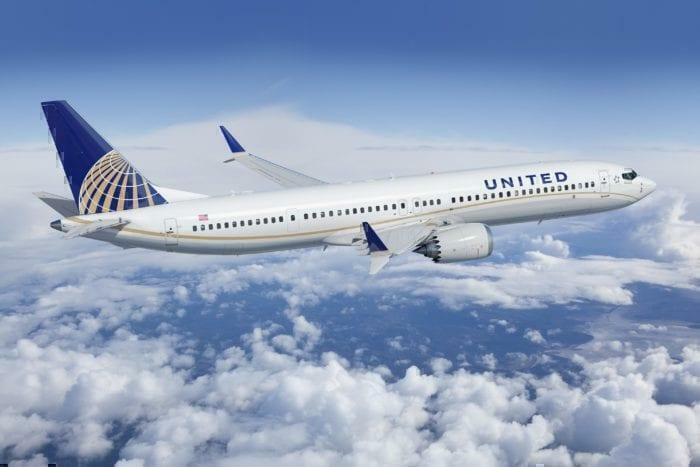 United argues that passengers typically carry a smartphone or an iPad with them, and are slowly removing screens and providing entertainment via the onboard WIFI. They provide a variety of shows for free or pay for movies starting from $4.99. Details can be found here. Delta, on the other hand, offers back of screen entertainment units on most of their planes. They have plenty of movies and offer this service for free. More information can be found here. Both airlines offer headphones for sale and are not complimentary. There is WIFI on board for purchase for both planes. Naturally, as Delta offers the superior entertainment product, they win this round. Should I fly with Delta or United? This is such a subjective choice. Ultimately it comes down to price (Don’t forget to include the extra bags when booking a ticket) as domestically, but airlines offer almost the same experience. The level of service varies from each airline, and sometimes you might have a flight attendant who is having a bad day. Our recommendation if it’s a short flight, choose the most convenient direct flight for the lowest cost. 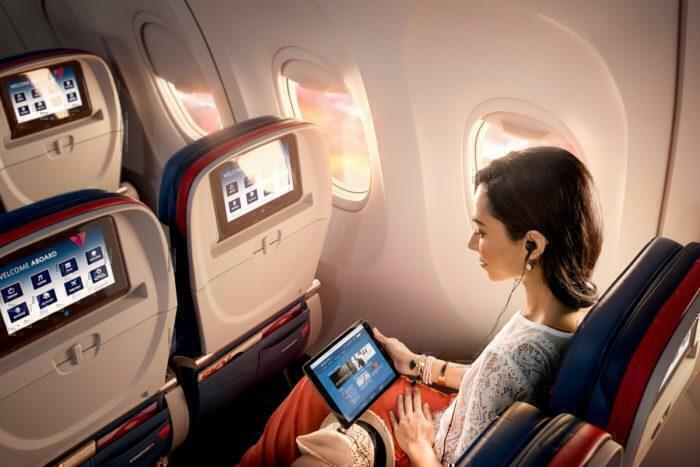 If its a bit longer, then we suggest Delta, as you have a chance to get a complimentary meal (If the flight is long enough) and free inflight entertainment. On Transcontinental from EWR/LAX and EWR/SFO free hot meals in economy plus as well as free liquor/beer/wine.